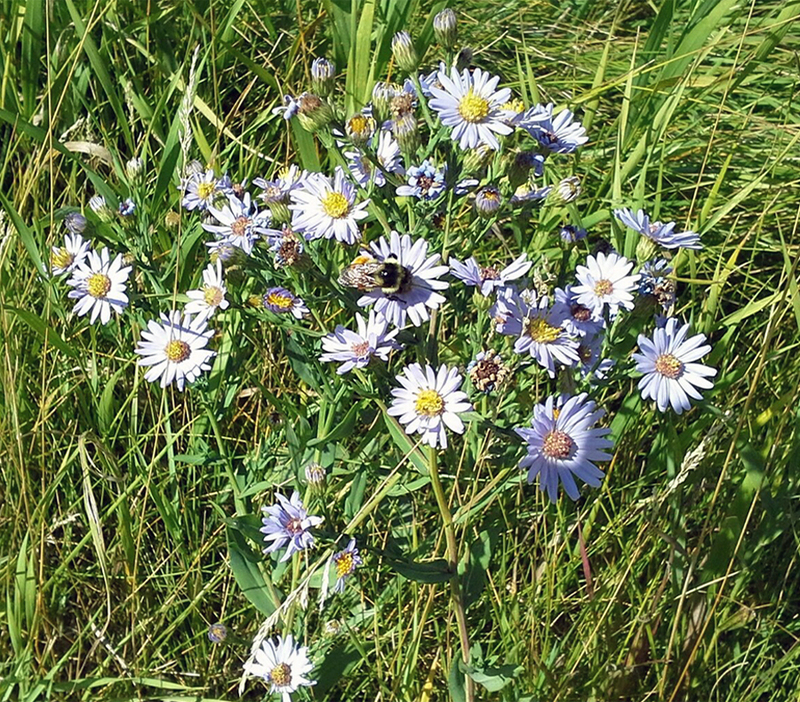 The spectacular view at the Sons of Jacob Cemetery is only heightened via the fact that it is surrounded by a strip of untouched native prairie. 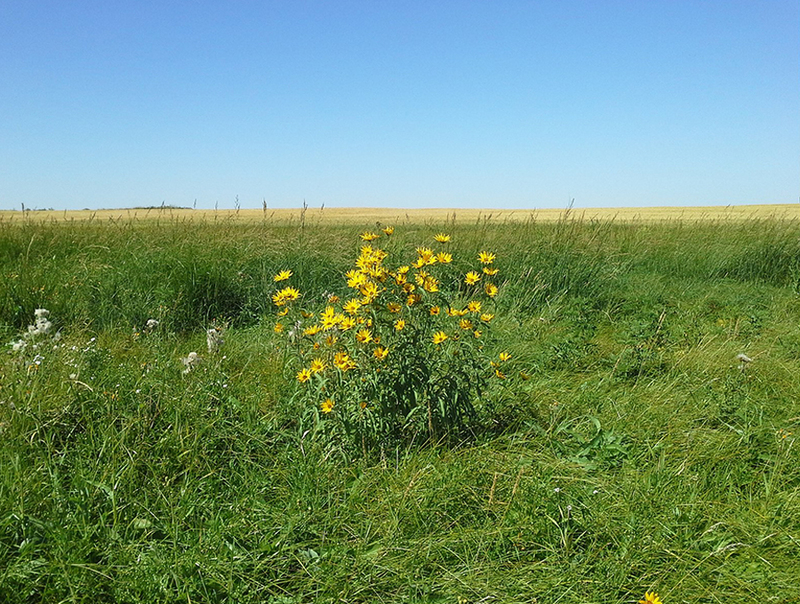 One of the last remaining pieces of native prairie in the region, it allows the visitor to view the land in the same way Rachel Calof and the original settlers would have. Before Euro-American farmers started breaking up the sod, mixed – grass prairie covered about 85% of North Dakota. 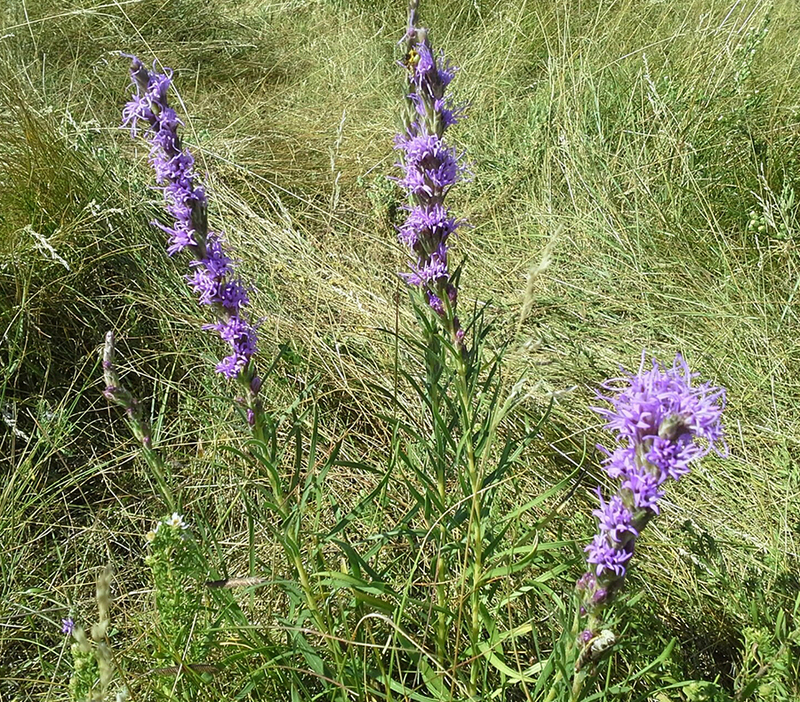 Today, mixed-grass prairie as it exists at the Sons of Jacob Cemetery, can be found in only about 30% of the state. 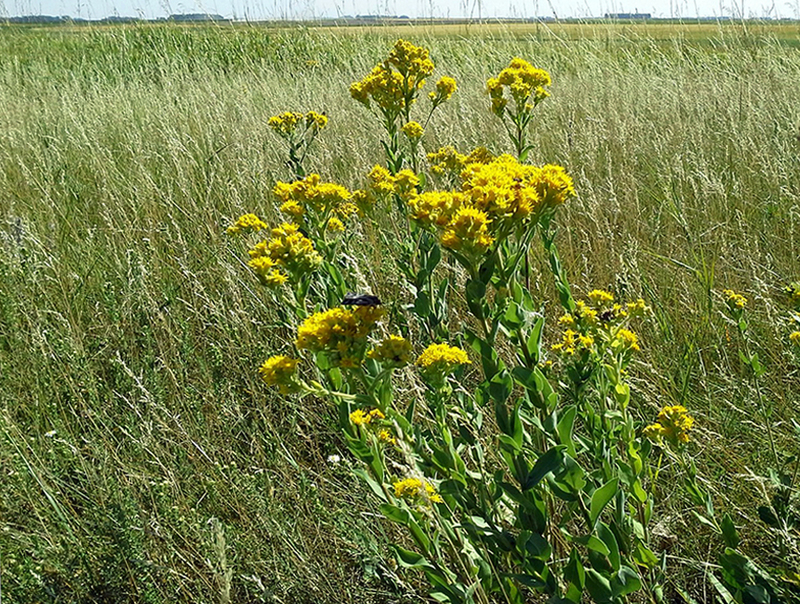 This type of prairie is called a Drift Prairie or Glaciated Plains and contains mixed grass and prairie plants. 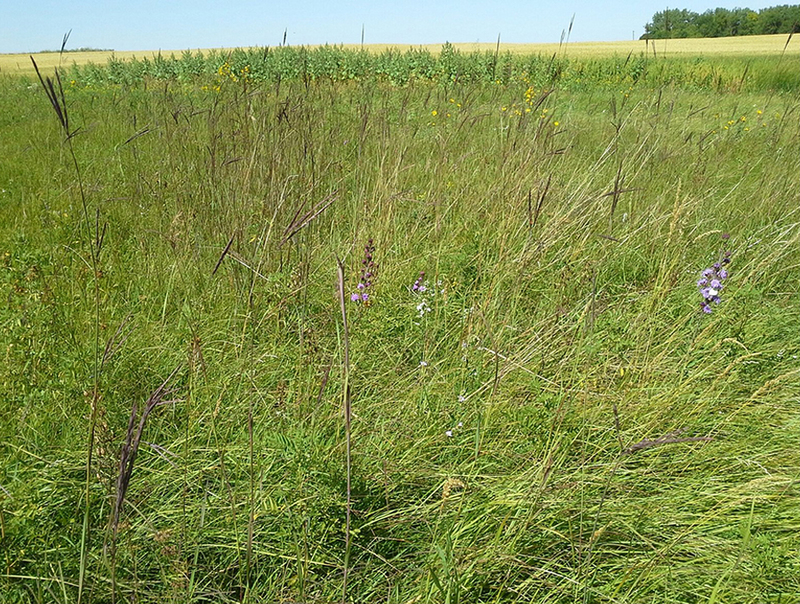 A mixed-grass prairie is a combination of tall grass and short grass species. • Long, cold winters, hot summers, and strong winds. Spring and early summer wild flowers caress the cemetery and “dot” the border with color; but the diversity of this stretch of native prairie is extensive and most remarkably visible in mid to late summer when the warm season wild flowers are at their peak.